Mere days from now, the Supreme Executive Committee will begin accepting saintly nominations for Lent Madness 2019 during the holy season of Nominationtide (the liturgical color for this sacred season in the Church year is, obviously, purple). This year, Nominationtide will take place over a full week, running from Monday, April 23, at 8:00 am Eastern Time and concluding on Monday, April 30 at 8:00 am. 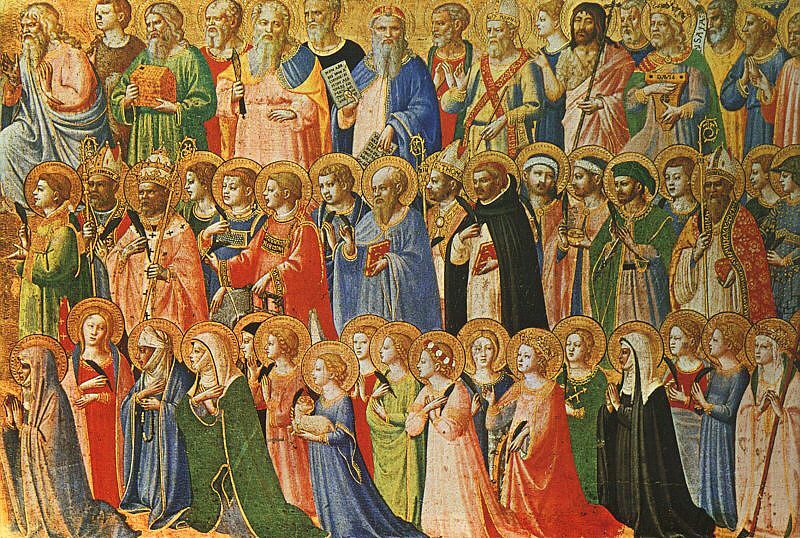 The saints are queuing up already, hoping to be first-round draft picks of Lent Madness 2019. It is a high honor to be invited to share nominations for what will be the 10th Anniversary Edition of Lent Madness. You will find your heart strangely warmed even if your nomination does not ultimately make it into the bracket. Why? Because every nomination will be prayerfully considered by the SEC during their upcoming annual Spring Retreat at a secure, undisclosed location. The ONLY way to nominate a saint will be to leave a comment on the Nominationtide post here at www.lentmadness.org which will be sent out on Monday, April 23. That means that comments left on this post don’t count. Or on Facebook or Twitter. You can also scribble your nomination on a $20 bill and send it to Scott or Tim. In addition, we have a formula for ineligible saints that includes anyone from the 2018 bracket and others who made it to certain rounds in recent years. Rather than bore you with the details, we will release the list of ineligible saints from previous years in the forthcoming Nominationtide post, knowing that many of them will get nominated nonetheless. Make sure you check your one nomination against the list of ineligibles, because it would be a shame for you to throw away your chance at Lent Madness Nominationtide Greatness. Finally, While the process for precisely how the Lent Madness bracket is formulated is one of the great sacred mysteries of the faith, know that the SEC does indeed occasionally heed the cry of the Lent Madness faithful. Thus while maintaining supremacy in all things, there is a tiny window into which Lenten democracy flows. But don’t get used to it. 25 Comments to "Nominationtide is nigh upon us"
Thanks for the advance notice! I am also in deep thought and prayer regarding my Saintly nominee in the bracket for 2019. Thank you for the opportunity. Someone fix the Countdown clock! What are you talking about? The countdown clock is perfect. So many saints. So little time. I still like martyr for labor Joe “Don’t mourn for me. Organize!” Hill. The selflessness of this man and others so like him is overwhelming. I had already written down 3 ideas! Now I am hoping that 2 of them are ineligible. Or, maybe you would like to lower the number from unlimited down to 3 rather than to 1? 3 is a nice holy number…. I like that one, Linda! Sadly, the Presbyterians don’t keep the sainthood tradition! I know of at least 2 Presbyterians in Canada that look forward to Lent Madness. We learn a lot about people who live their faith humbly and without wanting acknowledgement. How can I find the saintly calendars to know if the person I want to nominate is eligible.? Frances Perkins won a golden halo, I believe. Why would she be on a saintly calendar. I am confused by this requirement. The saint must be commemorated on a Liturgical calendar, The Episcopal Church has three in use that I know of: Lesser Feasts and Fasts, Holy Women, Holy Men (although this one may now be invalid, and with good reason) and a Great Cloud of Witnesses. You could also choose from the myraid of kalendars in the Anglican Communion. The Catholic Church is made up of 23 churches in communion with Rome, everyone of them has multiple calendars, not to mention the Calcedonian Orthodox Churches and the Oriental Orthodox Churches. And there are many Protestant denominations that also have saintly calendars. I’m so excited – I can’t stand it. I’m pretty sure my nom will blow the top off your nomination box! Many thanks to all who are involved in the whole Lent Madness endeavor. Much work! As a minister and life-long member of the Christian Church (Disciples of Christ), we do not “do” saints as advocates before the Throne. However, the stories of people living out their faith and belief are inspiring. The humor that they often expressed is another part of the light that has come into the world. Again, thanks! Thank you for your beautifully expressed thoughts, Paul. I love to think that humor is a part of the light that Christ has brought into the world, and I love to focus on what unites Christians rather than divides us. Where might I find official calendars of saintly commemorations ? I think the new “rules” for nominating a saint (singular) are perfect! Absolutely perfect! Kudos to the SEC for bravely negotiating a new deal with the Lent Madness faithful. Ok, it’s actually an edict – it’s not like we got a vote or anything – but congrats just the same for forcing us to narrow our nomination down to one. This exercise will no doubt force us to give more thought (research) and hopefully prayer to our choice. Way to go! I really liked the new quadrants this year. I was going to advocate for a similar organization when I nominated my three saints! Now that I can only nominate one, I don’t want to confuse the issue by lobbying for quadrants, too. So I’ll lobby now. KEEP THE QUADRANTS. Thank you. I nominate Florence Li Tim-Oi page187 of the Holy Women ,Holy Men. My first experience in Lenten Madness Nominationtide, and I wish the Supreme Executive Council well in winnowing all of the nominations down to the 2019 list. I didn’t realize I would become privy to every nomination when I checked the “Notify me of follow-up comments by email.” box; and I respectfully request to be disconnected from that option. I have received enough saints’ names and histories for a month of November firsts. « Anna Alexander wins 2018 Golden Halo!